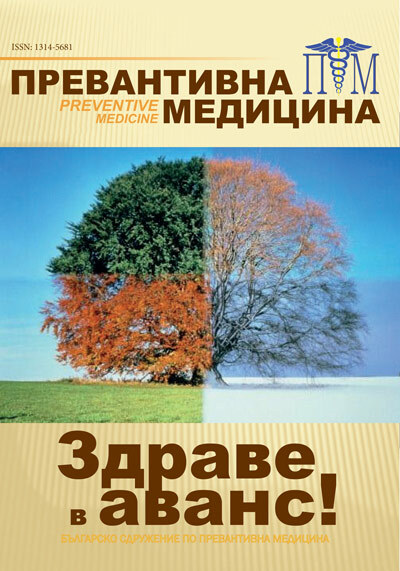 The site that you entered is created by the Bulgarian Association of Preventive Medicine with the designation medical specialists in the field of preventive medicine, epidemiology, infectious diseases, microbiology, immunology, pediatrics , public health and health management to be in constant touch. The students, as well as the post-graduate students, the general practitioners are welcome and we will be happy if they find quick answers to the questions they are interested and if we are helpful with useful information and our experience. There is a pressing need to devote more efforts and resources to promote healthy lifestyle and prevention of diseases. Every year the range of current topics , organizational, prophylactic and therapeutic approaches in this area is increasing, which is beneficial as well for backing the qualification of the individual physician, as for the public health concern. Modern development of preventive medicine in our country and around the world suggests wider exchange of information with other national and international structures. It could be used not only for the collection of data, but also the early warning in outbreaks or epidemics by different infectious diseases. With this site we will provide information about meetings, conferences, workshops in the country and abroad, we hope to open the door for access to information and contacts with specialists from Bulgaria’s neighboring countries, Europe and the world. In the design of the site we will use links to materials of national and international institutions with greater possibilities. We hope that our site will be read also by non-specialists , particularly travellers to exotic destinations. This site is open to feedback from its visitors and we hope that we will help to make it interesting , useful and necessary both for professionals, working in this dynamic and interesting area of medicine, as well as for those who are just looking for reliable information.